A full-size dreadnought with resonant tonewoods and state-of-the-art electronics. Takamine' top-line Pro Series P3D dreadnought presents the finest in full-size Takamine acoustic sound, style and performance, with resonant tonewoods, elegant appointments and state-of-the-art electronics that deliver an exquisite acoustic experience onstage and off. Other premium features include a solid sapele back, mahogany neck, rosewood fingerboard with wood œdot-in-dot inlays, gold tuners with amber buttons, natural satin finish and the highly acclaimed CT4B II preamp system with three-band EQ, volume control and built-in tuner. 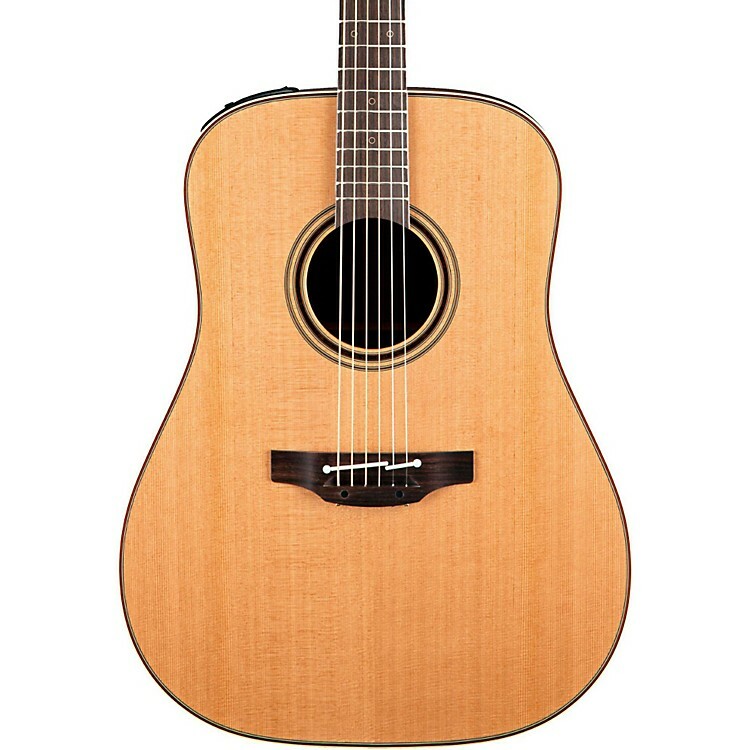 Get fantastic Takamine sound and playability. Order today.